After returning back from Nepal I spent about three weeks working half-days to finish up the final document to provide to our partner Tearfund UK. There were several changes to be made based on their feedback that included drawing the stone with rubble infill more accurately, providing alternative wood details in the place of concrete and steel, preparing a one page poster that summarizes the information for homeowners, and preparing versions of both documents with no text so that they could later create a Napali version. The handbook is too large to include here, but I have attached the poster below. The techniques are summarized into six key points: (1) build with a strong foundation; (2) use horizontal reinforcement (ring bands at the foundation, lintel, and roof); (3) use vertical reinforcement (tie the foundation to the walls and to the roof); (4) connect the floor system to the walls; (5) provide junction and through stones to connect the walls together, and; (6) provide a gable that is wood instead of stone. 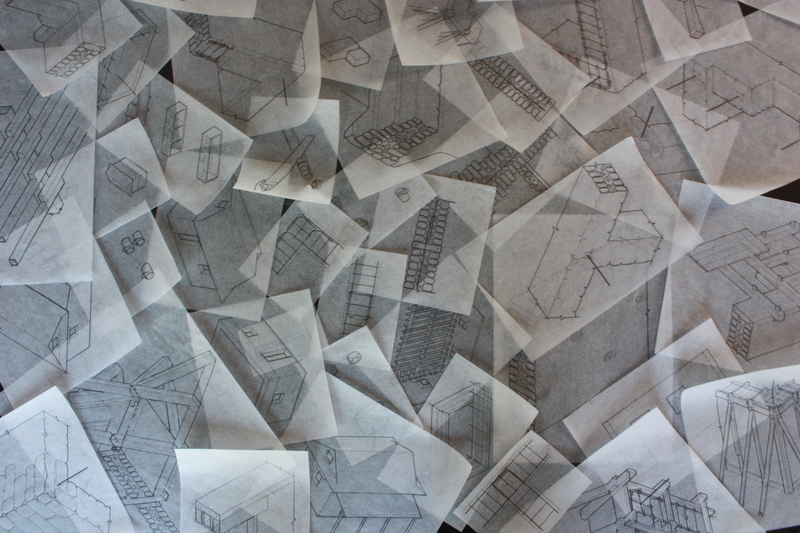 The proposed techniques offer a hybrid solution that works with existing building methods in the region so that people can rebuild fairly independently and move back into homes as soon as possible. I am very grateful to have had the opportunity to witness Napali architecture and way of life, and learn more about building in stone! On Sunday we took a day off. In the morning we went to the same international church we had gone to the week before. During the service, a Napali pastor came and shared about a ministry for the blind, and a group of blind people performed traditional Napali music for the congregation. For the first two songs they played a harmonium (like an accordion but set on the floor) in a style I’ve never heard played before, and for the final song played a traditional stringed instrument called a Sarangi. The music was beautiful! In the afternoon we grabbed lunch and then went to see a few sights and do some shopping. Ben generously offered to be our tour guide! 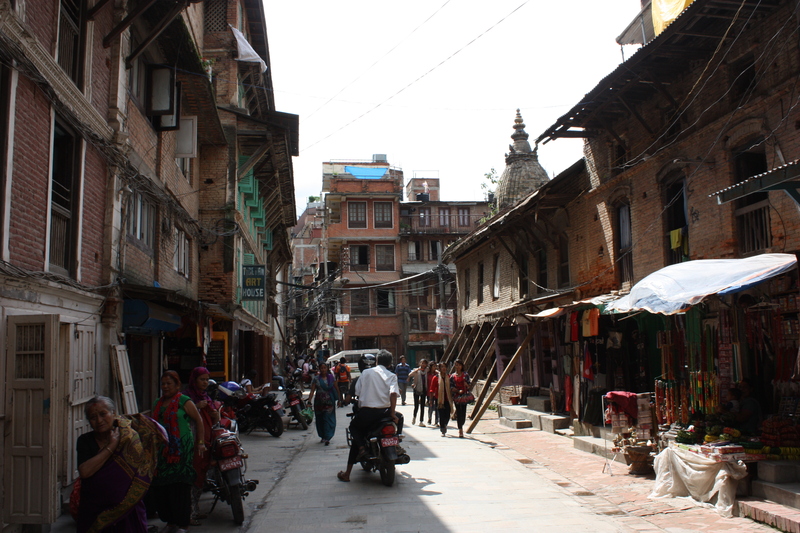 We chose to go and see Patan Durbar Square and then go to the Thamel district. 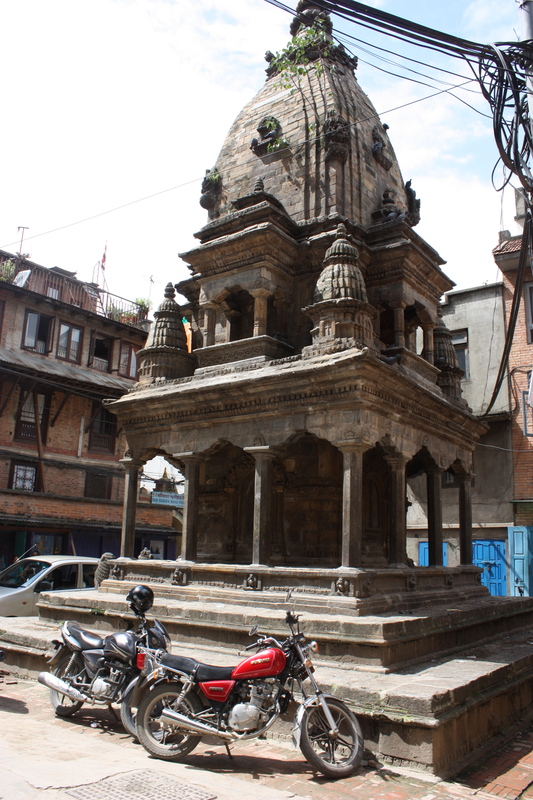 Patan Durbar Square is at the centre of Lalitpur city, one of the three kingdoms that were situated in the Kathmandu valley. The square is full of Newa architecture, which is an indigenous style of building used by the Newari people in that region. The style is marked by intricate brickwork and wood carvings and is typical only to Nepal. I haven’t seen such beautiful architectural scale carvings in my life! Some of the temples had a similar style and then others were in what is known as Shikhara style and built out of stone. Two of the temples had completely collapsed during the earthquake, and the others were significantly damaged. There is also a palace in the square that was converted into a museum. Inside the courtyard there were a collection of carved windows and brackets that came from the collapsed temples and other buildings. 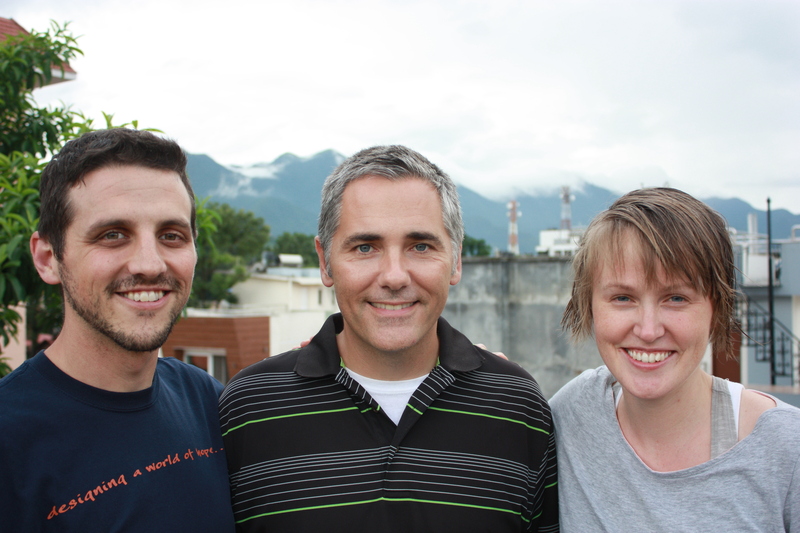 We went to a cafe that had a rooftop terrace where we could sit and look over the square. Afterwards we walked some of the backstreets. I was kind of amazed by how many shops there were that sold all of the same brass plated hindu and buddhist statues and other symbology and wondered out how they all stayed in business! The streets were narrow and other temples could be found on street corners. Many of the buildings had the same style of carved windows, doors, lattices, and large overhands with carved brackets. After wandering around the backstreets we grabbed a taxi to the Thamel district. It is the tourist shopping area and is an interesting mix of mountain equipment, souvenir, and clothing shops. Howard bought a small “khukuri” knife that is a type of knife still used by the Gurkha regiments in Nepal and around the world. I found myself a lapel pin of the Nepali flag to add to my collection. We went on a bit of a goose chase wandering through town to find a square by a fountain were Ben remembered a group of merchants sold yak wool blankets. We asked for directions a few times and were led a little astray, but I didn’t mind one bit because we entered a neighbourhood that seemed to be the hub of local activity. The streets were so narrow and there were so many people in this area that few cars passed through. We did find the square in the end and I bought a yak wool shawl. I also came across a wonderful shop that sold paper of all kinds. I bought several large sheets that included plain paper, traditional stamped patterns, leaf prints, and embedded flowers. I think the total I spent on all of the sheets was the equivalent of $3.50. I was hoping to find carved wood window frames or the traditional trousers that the Nepali women wear, but unfortunately we ran out of time and I don’t think the guys were as interested in shopping as I was! We had experienced so much in just one afternoon! I hope that there will be another opportunity for me to visit Nepal and have some time to explore Kathmandu and the surrounding region. The textures and historical layers and surprises reminded me somewhat of Rome. 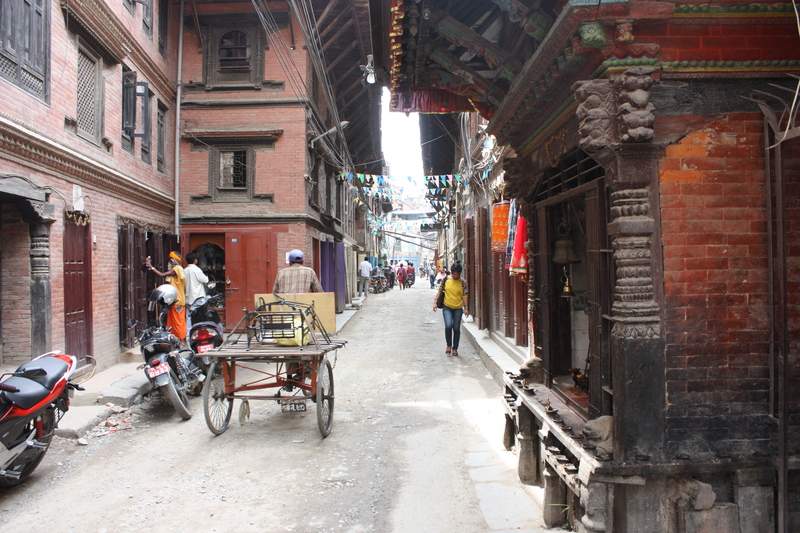 I could spend weeks walking the streets of Kathmandu and taking in the architecture, culture, and general activity!